The North American International Auto Show in Detroit is one of the world's largest venues for manufacturers to launch new cars and for industry CEOs to explain their visions for the year ahead. The period over which the show has been open has been a rough one for Ford Motor Co. (NYSE F). An announced but loose joint venture with Volkswagen and the planned introduction of an electric version of its F-Series were not enough to offset poor earnings results that offered no hard 2019 projections. Ford CEO James Hackett, who will be on the job two years in May, may not make the anniversary. Ford's performance during the show did not help shareholder sentiment. The stock is still down for the past year, off 29%. The Ford family, which owns a massive block of the company's shares, can't be happy. Ford is led by family scion William Clay Ford Jr., who has the title of executive chairman. At 61, he could take over Ford and attempt to turn it in a better direction. He was CEO from 2001 to 2006. First among the events that bothered outsiders was the Volkswagen announcement. Ford described it as a critical step forward as it tries to get its house outside the United States in order. Ford framed the deal as the "first formal agreement in a broad alliance." Based on comments by both Hackett and VW's chief, Dr. Herbert Diess, there may not be a second. Ford warned that it missed its fourth-quarter numbers. Earnings of $0.30 per share were two cents short of the most recent consensus expectations. 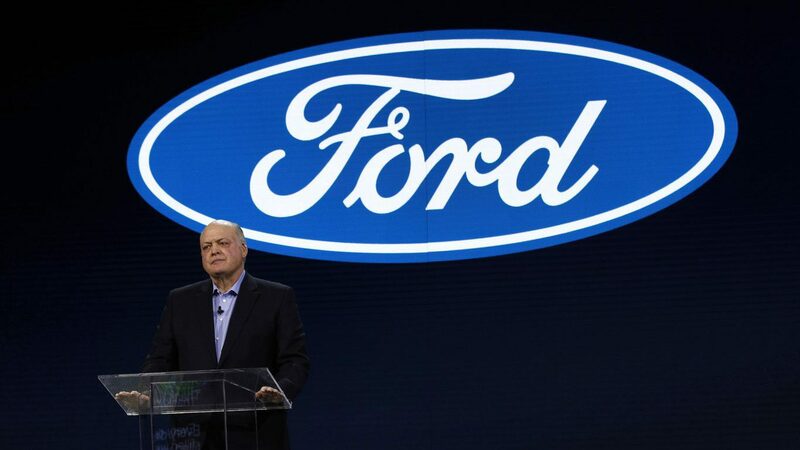 The Wall Street Journal reported that Ford Chief Financial Officer Bob Shanks said in an interview, “We’re very confident about the things we know we can control … but at this point we want to be a little prudent with how specific we are." He was referring to 2019 expectations. Finally, Ford will launch an electric version of its F-150, the best-selling vehicle in America. Company management couldn't say when the vehicle will be available.